Here was my Christmas Eve. The weather is absolutely beautiful but wildly windy for this time of year. 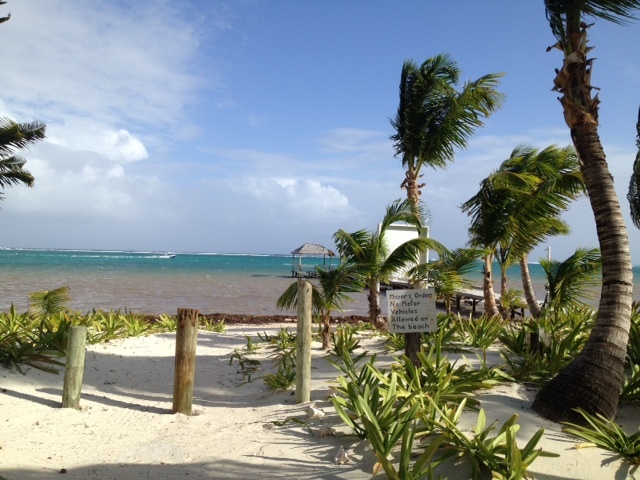 Gusts of up to 30 mph are making diving and snorkeling trips tough…but sailing and kite boarding, bar & restaurant hopping and pool sunning marvelous. See? Things could be WAY worse. 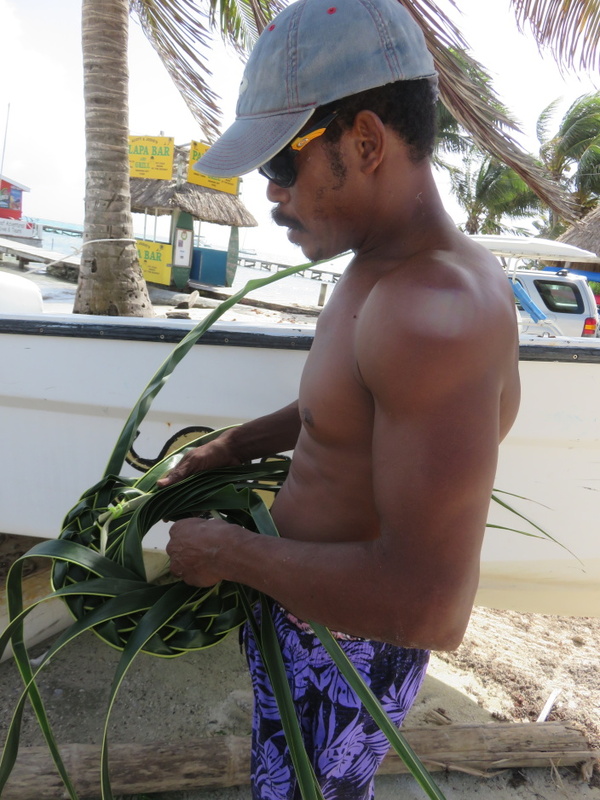 I ran into a guy that I met in Placencia a few years ago…he is now on Ambergris Caye and weaves some AMAZING stuff out of palm fronds. 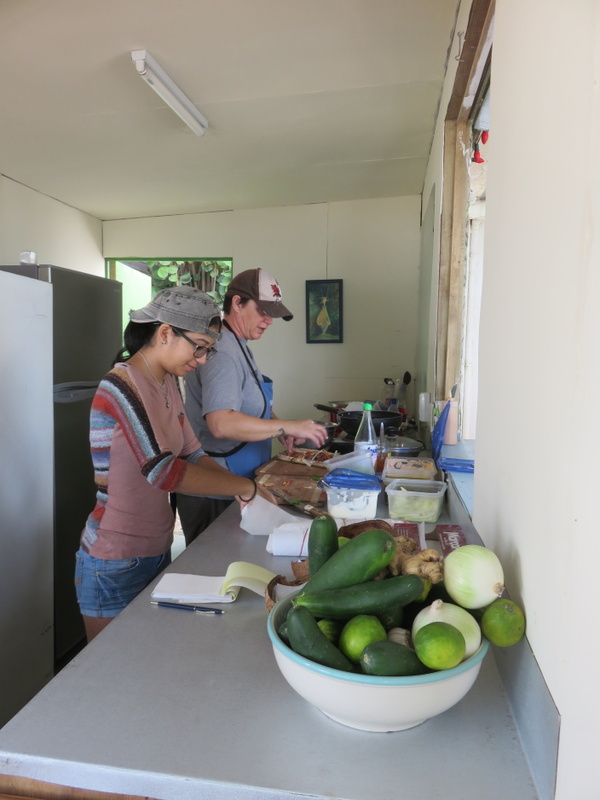 I took some pictures as we waited for our Pork Meatball Banh Mi at Two Tree Bahn Mi…the ladies were hard at work. I am SO hooked on these right now. My very favorite lunch. And here are the two seagrape trees outside. I wish I could find my picture of him from Placencia. 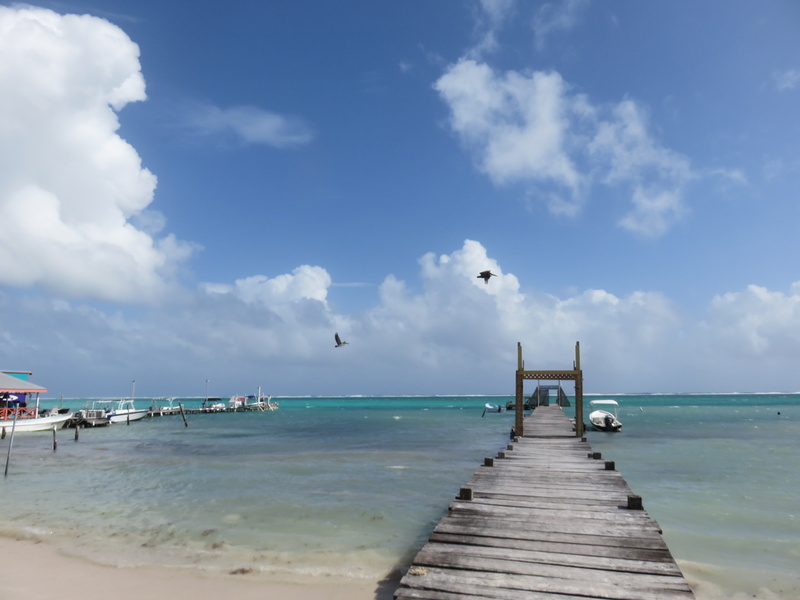 It went totally Belize-viral when Belikin shared it. Here he is yesterday over by the new Palapa Bar. He is the master. 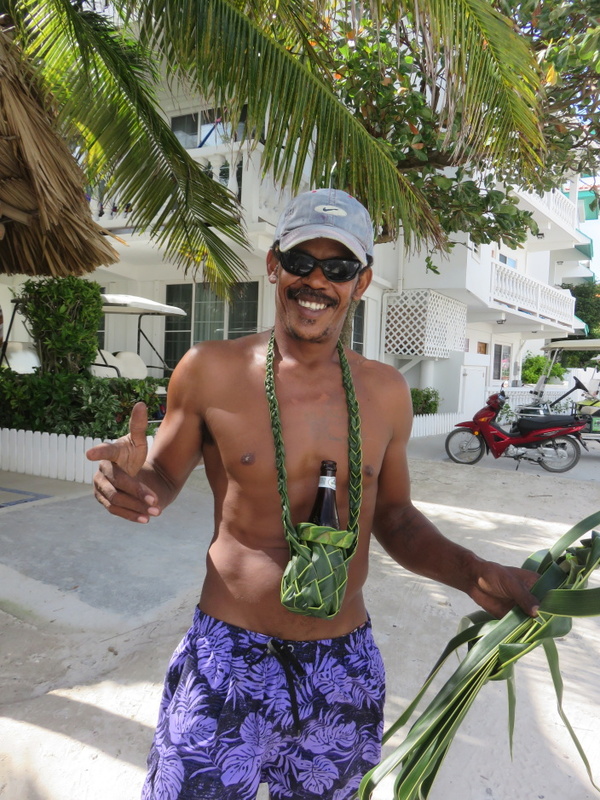 I must say, that this necklace/beer holder is the season’s COOLEST accessory. And then we drove north. And I ran into this complex-in-planning before The Truck Stop. Wow. 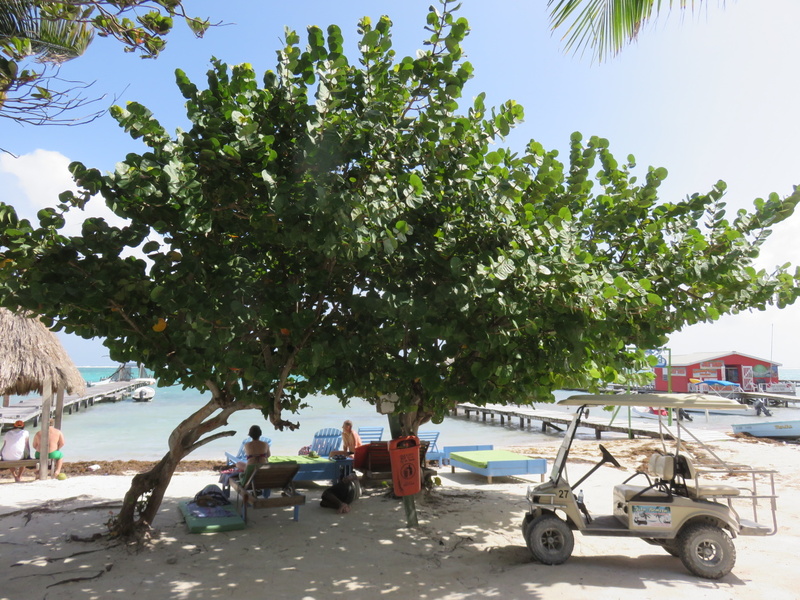 Casitas Tres Cocos – an adults only resort. Onward…a walk by the sea. Almost chocolate-y with all this wave action. 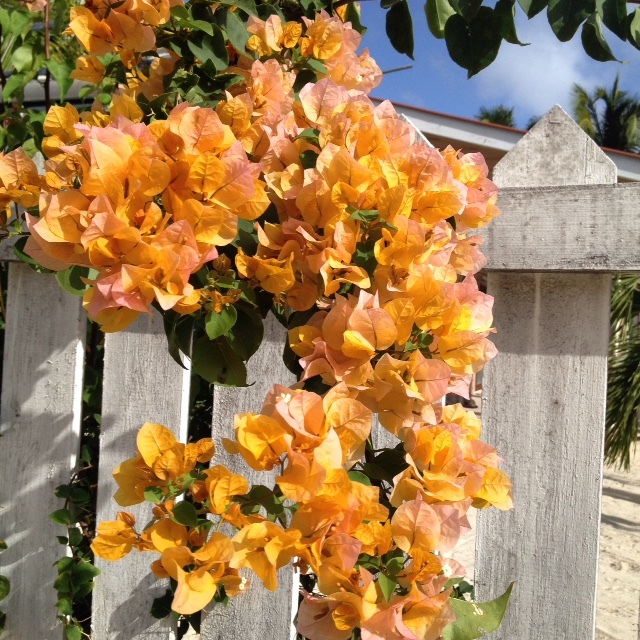 This GORGEOUS bougainvillea – a creepy thorny vine – with peachy leaves. Hot pink is everywhere on this island…but peach and lavender? I’m going to need to take some branches. Currently learning how to grow it from cuttings. 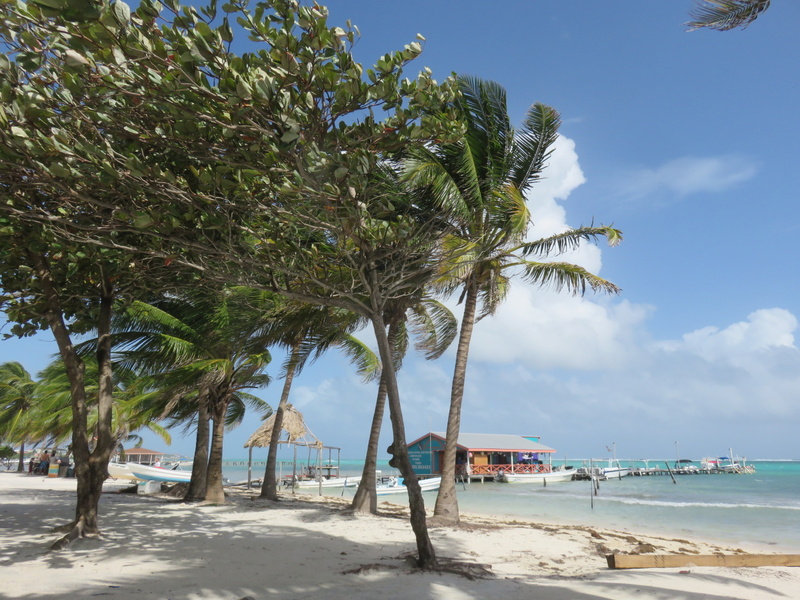 And then at about 5:57pm (according to the Belize Electricity facebook page) – the power went out on Ambergris Caye. Sigh…I forgot about this holiday tradition. For restaurants and bars – all packed – UGH! A bit of a holiday nightmare. Luckily for me…it was a breezy night. 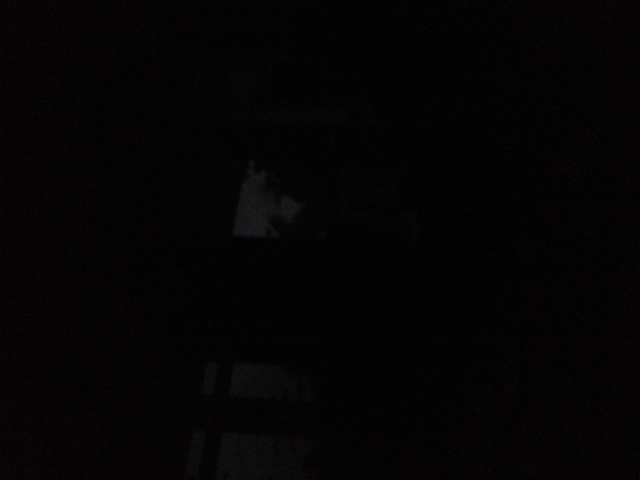 Power went back on in town at about 7:30pm and up north of the bridge at about 8:30pm. And that’s that…I hope you all have a Merry Merry Happy Happy Christmas AND Boxing Day. I have my favorite dog. Possibly the world’s greatest. 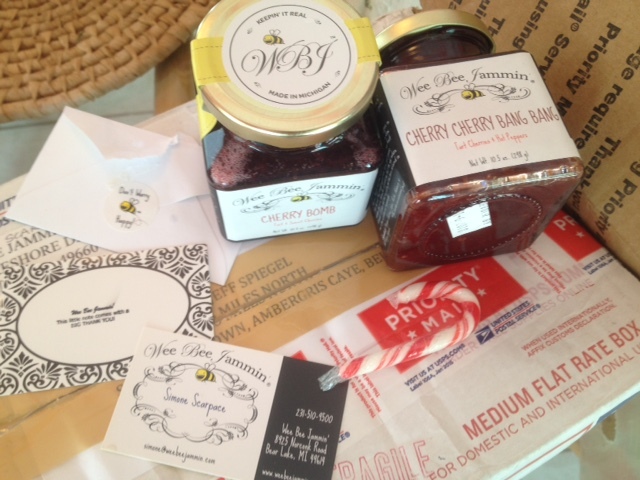 And I just received a box of the world’s MOST DELICIOUS jams…all the way from Michigan. Is it about the incredible tough beach access? Or…hmmm…the adult only part? Or…the name Youcan Toucan? 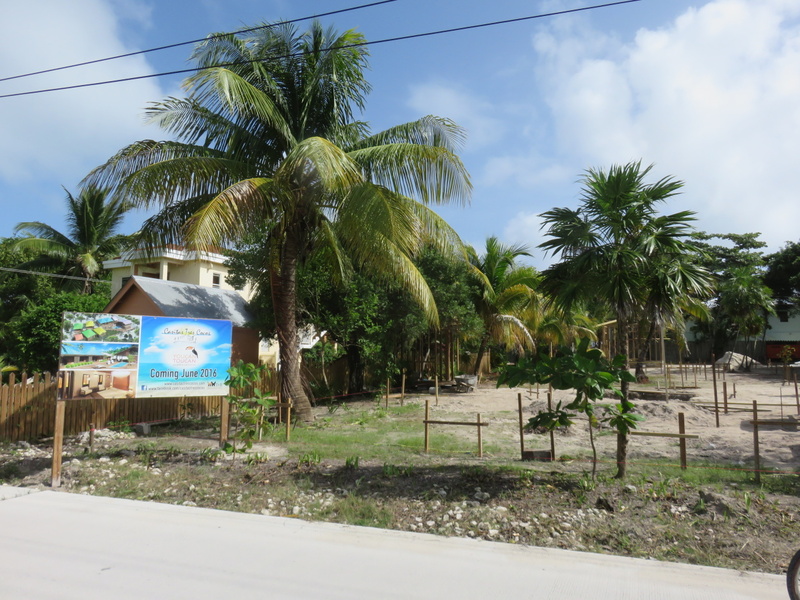 i am sick and tired…as many other nieghbors are… to have town board, approve…yet another business start ,in tres cocos…our ,what used to be….quiet, ”residential-only” neighborhood. That residential neighborhood thing…may be a thing of the past…certainly the part where the road is. The ones cut off (on the old road) got lucky. 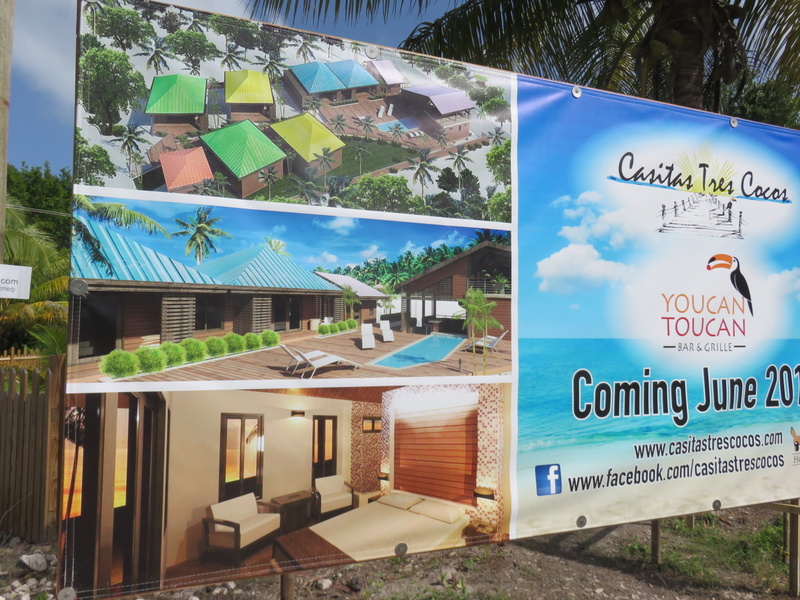 Soon Tres Cocos is just going to be the north part of town. San Pedro Norte. we on the old ‘dead-end’ road, didnt luck out on anything…. i wonder, if a, soon to be pending , ”class action law suit”…..43 million…[ $43,000,000.00]….will ease our pain ? Adult only? Gosh that has so many connotations for me! dont change the names, to protect the innocent…. and not a breath, untold. 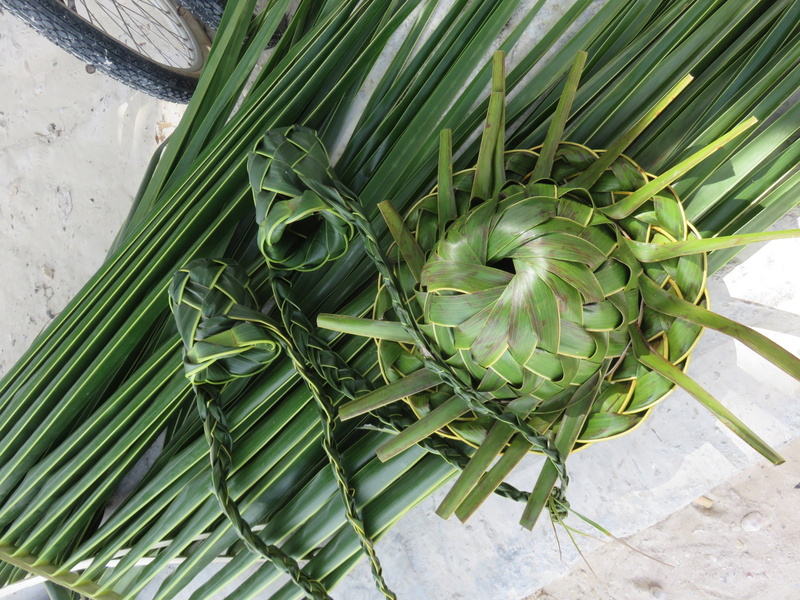 there was a mutual friend of ‘miss peggy’..years ago.. she taught me how to make those hats…. both the hats and those beverage holders should be a money-makin hit…for that young man. 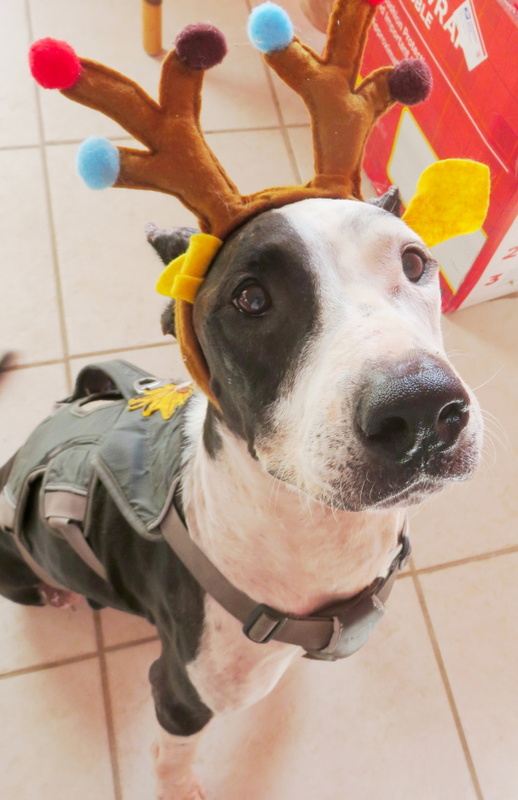 Thanks for the post and I’m sure for you Elsie IS THE BEST DOG EVER! I have six best dogs ever here right now…one of them on my lap as I try to type! He’s 70 lbs of muscle and love! Hope you have a wonderful rest of the Christmas Season and a splendid New Years! 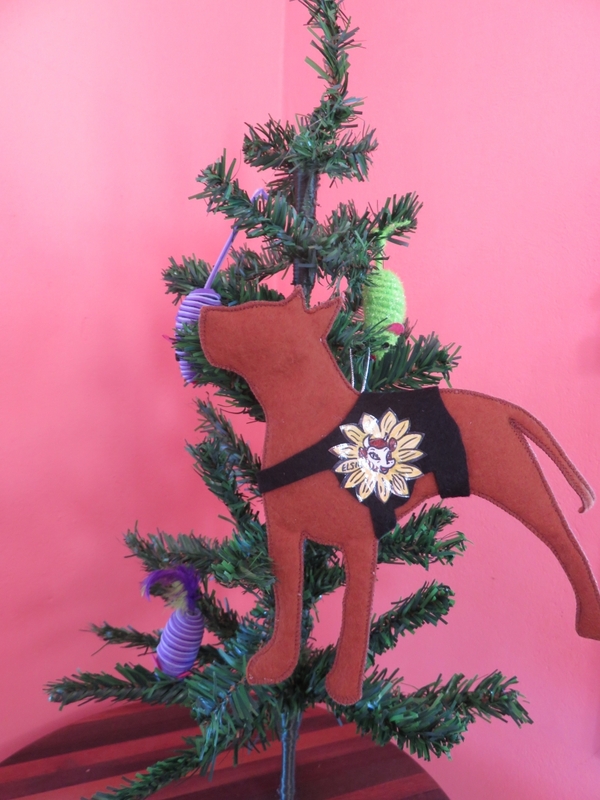 Love your posts, look forward to them daily…sort of a daily Christmas Present! Awwwww. SIX!!!!!!!!!!!!!!!! And that is SO nice of you to say. Thank you and HAPPY HOLIDAYS!